The different flavors of this parfait burst into your mouth with every bite! 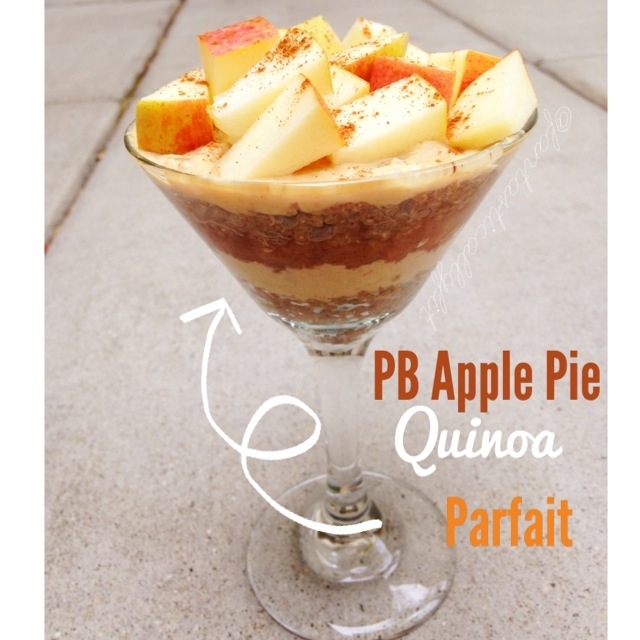 Plus apples and pb are a match made in heaven! Place quinoa, 1/2 cup almond milk, vanilla and cinnamon in a pot on the stove. Place in medium heat until it comes to a boil. Turn to low and over until no liquid is left. Then add in 1/8 cup almond milk and stir for a couple of minutes. Take off heat and chill in the fridge.